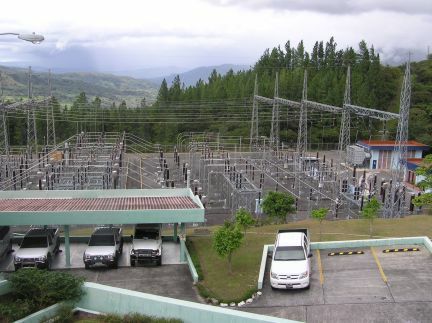 La Fortuna hydro-electric company in the mountains of western Panama. The chamber that had been hewn out of solid rock was big enough to hold an ocean liner or a 747 jet liner. There were three generators standing as high as a four story house. Each one capable of delivering over 100 megawatts of power. 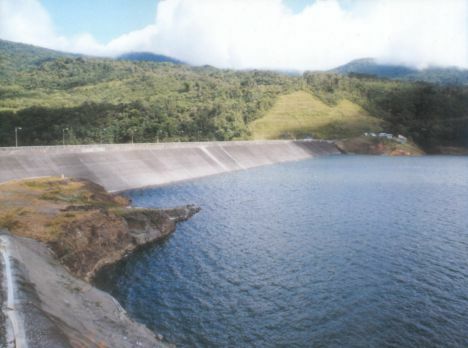 The combined power of all three Pelton wheel turbines supplies almost 35% of the entire electric power in Panama. Another staggering figure is that water from the La Fortuna dam arrives at the power house after a journey through a solid rock tunnel that is six kilometers long. Then after powering the turbines it continues on through an even longer, eight kilometer tunnel before it returns to the outside. The La Fortuna is a highly strategic facility so quite understandably the taking of pictures is not allowed. I was permitted to take a picture of the exterior and the first part of the tunnel, all the other photos here are courtesy of La Fortuna. Built in 1984, The La Fortuna facility is a marvel of modern technology. The company has gone to great lengths to minimize its impact on the environment- the distribution field 400 meters above the power house resembles a small hotel with manicured lawns and flower beds. La Fortuna is not an easy place to reach- situated 30 kilometers north-east of David, you first have to drive north on the Boquete road and turn off at the sign for Caldera Village. First call Juan Landau at 777-6700 to arrange the time. The company has a media center with a professionally produced DVD showing the history and day-to-day operations of the facility. A nice touch is that they have the DVD in both Spanish and English. Practically every visitor to Panama has seen our world famous canal. Sadly, few venture out to see our other modern wonder under the mountain in Chiriqui. 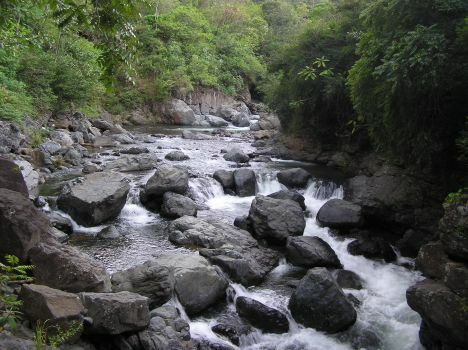 It is well worth the visit and the scenery of Chiriqui is a tonic in itself. Hydro-electric, environmentally the best choice. Considering all the alternatives of energy production; burning coal, oil or heaven forbid using nuclear power; hydro-electric generating is the clear earth-friendly choice. Admittedly you have to build a dam, and possibly divert a river or two but in the end this way of powering our economy means we don’t add any pollutants to the air, we don’t import a drop of oil, we don’t have to live with the nightmare of a nuclear meltdown and as for using the river water?- Well those nice people at La Fortuna, they just borrow it for a while.